A leaking roof can morph into a larger problem for your house. Water will eventually make their way down to different parts of your house, where it will accumulate and cause stains to appear on the ceiling tiles, leave cracks in your wall and cause a moldy smell in your attic. If the leaks are not fixed, mold will eventually spread and eat away at parts of your roof, further damaging it. To prevent such a scenario from happening, follow these tips from Universal Roofing and Exteriors, your local drywall contractor. To prevent the damage from spreading, the source of the water leak must be identified and repaired. But by the time the leaks are stopped, mold and moisture may have rotted away some parts of the roof. This is why it’s important to have a contractor assess the extent of the damage right after the cause of the leak is addressed. Tip: Mold spores can lead to serious respiratory complications in some people, but it’s easy to mistakenly identify water damage or dirt as mold. If you see any black dots or grey streaks on your drywall, try dabbing them with bleach. If the streak fades or disappears after a minute, it’s mold. But if the bleach has no effect, the streaks were caused by something else. Depending on the severity of the damage, your contractor may either recommend roof and drywall repair or replacement. Make sure you only hire trusted contractors to handle the work. The aforementioned issues can be avoided if a small leak is detected and repaired before it worsens. That’s why it’s important to hire a contractor to do periodic inspections and maintenance on your roof. 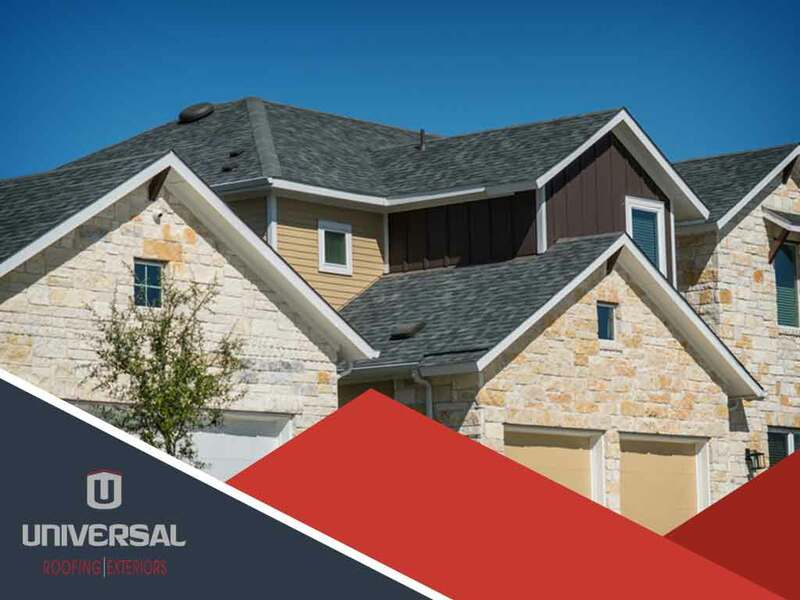 If you’re looking for a contractor to do maintenance work on your roof, turn to Universal Roofing and Exteriors. Aside from drywall painting services, we also offer roofing services. To schedule an assessment, you can call (317) 257-0779 or fill out this form. We serve clients in Fishers and Zionsville, IN, as well as Northside of Indianapolis.